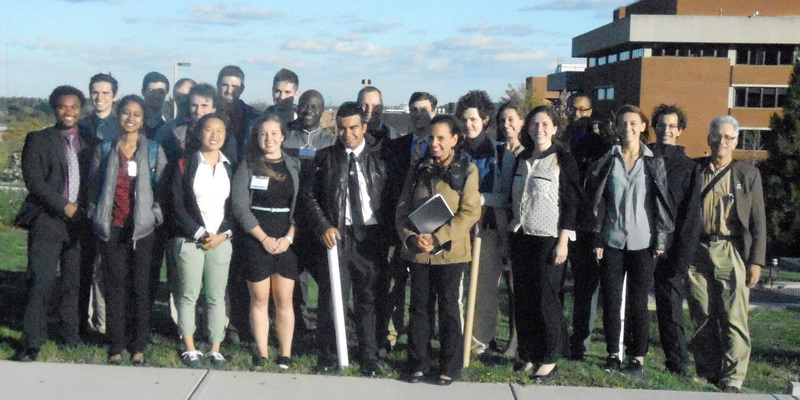 Over 300 students from 54 East Coast colleges and 14 states converged on the University of Maryland, Baltimore County, on Saturday, October 22, for the Nineteenth Annual Undergraduate Research Symposium in the Chemical and Biological Sciences. University of Delaware students did very well receiving four first place awards (Matthew Hurlock, Shelby Roseman, Hannah Wastyk, and Nicole Wenzell) and six second place awards (Megan Cain, Zackary Jones, Priyha Mahesh, Shannon Marshall, Kyle Plusch, and Alexander Stubbolo) in several Chemistry, Biology, or Biochemistry and Molecular Biology groupings. 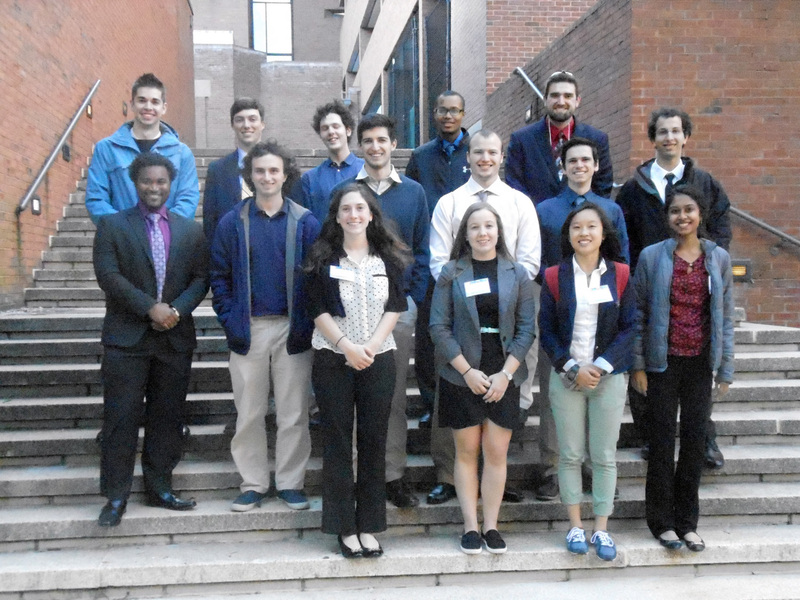 Other University of Delaware students who participated are: Alex Mataccheri, John Nixon, Lucas Onisk, Jacob Piane, Joey Rea, Juan Ruiz, Dominic Santoleri, Junius Thomas, and Michael Wilson. Faculty with the group included Professors Carlton Cooper, Jacqueline Fajardo, Gary Laverty, and Hal White. Back Row: Michael Wilson, Kyle Plusch, Alexander Stobbolo, Junius Thomas, Matt Hurlock. Middle Row: Shannon Marshall, Jacob Piane, Joey Rea, Lucas Onisk, Zack Jones, Dominic Santoleri. Front row: Shelby Roseman, Nicole Wenzell, Hannah Wastyk, Priyha Mahesh. Missing: Megan Cain, John Nixon, Alex Matacchieri, Juan Ruiz.